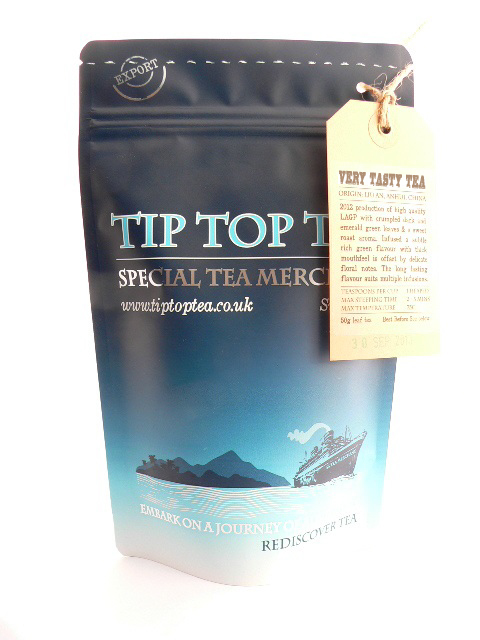 Flavour profile: Delicately smooth with a sweet sappy flavour and bright jasmine floral notes. Leaf: Small tightly rolled green leaves & white tips, shaped into ‘pearls’ with a sappy delicate jasmine fresh floral aroma. The pearls open up revealing lovely two leaf and a bud when infused. Origin: Fuding, Fujian Province, China. Background: Spring picked green tea with tender tips grown on a tea estate in Fujian province. These high grade hand rolled tips are scented with freshly blooming jasmine blossoms that are refreshed nightly until the naturally absorbed flavor is locked in. Brewing guide: Try infusing 10-12 pearls per cup in water 80C and watch them unfurl slowly as they release their heady aromatic scent! Water should be caught just under the boil and add ⅕ cold water to ⅘ hot water to get the right temperature. NB. use cooler water if you want it to taste sweeter! 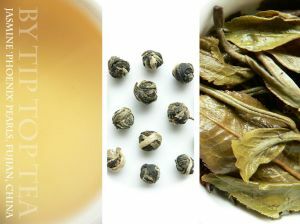 This is one of the best-quality jasmine teas I have ever had the pleasure of tasting. It smells and tastes fantastic and is perfect to drink at any time. Watching the little pearls unfurl gradually is itself a mesmerising and therapeutic experience and the flavour is simply magnificient.